Sounds like a magic word a magician would say before conjuring a rabbit from his hat, doesn’t it? Can you visualize the magician pulling out the rabbit by his ears? For most of us, it will be easy to recall images inside our head, using our mind’s eye. However, if you could NOT see any image in your mind’s eye – no colors, no sounds, no smells, no textures, no flavors, nothing at all – you may have a condition called aphantasia or a blind mental eye. Don’t freak out, though. Many people have aphantasia, even magicians. 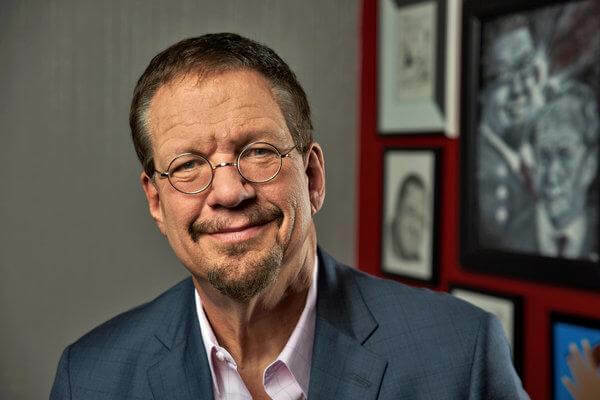 Familiar with Penn Jillette (of Penn and Teller fame)? He is a famous magician and entertainer, and he is an aphantasic(!). By his own admission, Penn says he cannot conjure a mental image of a person or a place to save his life. The term ‘aphantasia’ comes from the Greek words a, meaning “without”, and phantasia, meaning “a capacity to form mental images”. The phenomenon was first described by the controversial psychologist Francis Galton – one of the pioneers of eugenics – in 1880. The interest in the phenomenon was renewed after the publication of a study conducted by a team led by Dr. Adam Zeman, a professor of cognitive and behavioral neurology, at the University of Exeter. 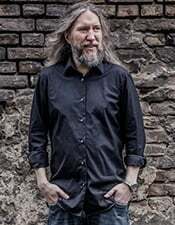 Zeman’s team published a paper in 2015 on what they termed “congenital aphantasia”, now known simply as aphantasia. For Firefox co-creator Blake Ross it was a surprise revelation that other people could visualize things in the mind’s eye while he couldn’t. “I can’t ‘see’ my father’s face or a bouncing blue ball, my childhood bedroom or the run I went on ten minutes ago,” he wrote in a Facebook post. Is Aphantasia a Common Phenomena? While research on the subject is still in its nascent stages, neurologists believe approximately one in 50 people or 2-5% of the population are non-visual-imagers. Sounds like a big number? Don’t be surprised. Being an aphantasic is nearly as common as having a food allergy. Neuroimaging has shown that mental imagery, although strongly associated with the left temporal lobe, requires the use of large networks of brain pathways. This means that aphantasia could potentially occur in different ways in different individuals. However, the exact cause of aphantasia is still unknown. According to Dr. Zeman heredity and environment both are likely to be relevant causes. Interestingly, an aphantasic may have a visual memory which means they may be able to describe in detail about how things looked – the cat had blue eyes, the umbrella was pink and matched the skirt – even though they cannot see these very images in their mind’s eye. 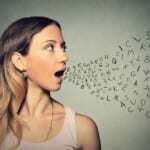 Moreover, many people who cannot visualize in mental images can think in sounds, while others can remember physical sensations. Penn says, when he dreams, he’s not sure if he sees images but has the sensation of knowing that “ideas wash over me”. Want to Take The Aphantasia Test? It is not possible to “see” what someone else is picturing inside their head unless they describe it to you. So how do we check what your mind’s eye is seeing? You can answer the Vividness of Visual Imagery Questionnaire, which is what psychologists use to rate different mental images of an individual, to test the strength of his mind’s eye. There’s another such questionnaire by someone I think possibly has an aphantasia cure. In the first case, although you don’t get any results, you’re helping a good cause by completing the survey and the questions themselves will tell you a lot about your imaginary visual style. In this case, you might actually find you get the help you need. Our brain stores information in at least two different ways – verbally and visually. Both these types of storage are independent of one another, and each can be used alone. Therefore, even people with aphantasia can complete the “tests of visual imagery” without too much difficulty. They can also often (but not always) complete these non-visual sensory memory exercises. Count the number of windows in your house. Even if you can’t see a “mental” image of your house and locate each window in that image, you would have an awareness of being there and recall from factual information the number of windows in your house. While aphantasics can remember things from their past, they experience these memories in a different way than someone with strong imagery. They often describe memories as a conceptual list of things that occurred rather than a video playing in their mind. As Ross says, he can ruminate on the “concept” of a beach, but cannot flash to beaches he has visited. The brain has many unique ways of storing visual information than just as a picture. Neuroscientists believe that the brain constructs visual imagery in more than one way. There are separate circuits for things like shape, size, color and spatial relationships, and when these are accessed together, we form an image of a memory. There are still a lot of unknowns, that’s for sure. But it’s great that someone is doing such good work to help people create a mind’s eye. Experts think that aphantasics piggyback on neurons involved in controlling physical movements rather than using the visual brain circuitry to “visualize” or recall information. For instance, you can trace the letter B of the alphabet in your brain to know it has curves or you can use your mind’s eye to see its image. Are There Any Aphantasia Benefits? While the research is still out on this one, Penn says that because he thinks verbally and not visually, when he gets an idea, he can describe it instantly. While aphantasics’ use of spatial memory is stronger in the absence of visual memory. People with aphantasia have been seen to perform on par with people who can visualize images in many tasks involving visual information. 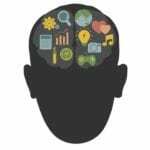 Moreover, a 2003 study stated the benefit of mental imagery is surprisingly small when it came to creative thinking. Tansel Ali and I talked about your multiple options in a recent interview. Memory techniques involve more tools than just visualization. You have many options. When you use a memory technique like the Memory Palace use all the Magnetic Modes, you can memorize a very large amount of information relatively quickly without necessarily seeing the Memory Palace in your mind. Personally, I don’t have aphantasia. However, I am low on the visual threshold. As a result, it took me a long time to understand techniques like mind mapping, let alone developing mind map mastery (which is still a work in progress, to be honest). Most of what I do in the world of memory techniques involves thinking about strange combinations of images in words and sounds, not high-definition imagery. I would call this being audio-conceptual. Over the years, I’ve invested in myself so that I can “see” something like visuals in my mind. But even to this day, the best results I get from memory techniques don’t require constant streaming of high-definition images in my head. I’m not trying to develop eidetic memory, after all. I just want to remember more. In any case, if you want to visualize bright, vivid pictures in your mind’s eye, you can try image streaming. Image streaming is a simple process that enables you to open up your mind’s eye to visuals. Close your eyes and describe what you see. If you don’t see anything (which would exactly be the case if you have aphantasia) help your brain start seeing images. Start by gently rubbing your closed eyes like a sleepy child. Then describe the bright sparkly light that you see behind your closed retina. Or look at a bright light like a candle for a half minute, or a window which has strong light/dark contrast. Then when you close your eyes, you should be able to see after-images, like a blob of light or color, at back of the eye. Describe that blob of light. You can also describe a memory that you cannot “see” but remember from the past. The important thing is to describe using all your sensory details – meaning use all your five senses of sight (vision), hearing (audition), taste (gustation), smell (olfaction), and touch (somatosensation) to describe your bob of light or memory. While you are examining and describing your after-images or memory events, keep a look out for experiencing some other kinds of image. It could be a momentary face, landscape, or whatever. Notice when this happens, and switch to describing that new image. Remember to describe all images to an external focus – quickly and loudly. The external focus can be a friend or a dictaphone (voice recorder), anything or anyone you can talk to. Practice image streaming for only 10-20 minutes a day to enable your mind’s eye to see pictures. 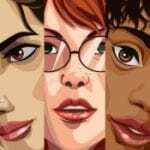 How to Use A Memory Palace With A Blind Mind’s Eye? Associating pieces of information with a location you are familiar with, like your house, is the basic idea behind the Memory Palace Technique. And it does not need you to visualize your house. You can “know” factually which room is where in your home or where is the window or door or the attic located. Keeping the full range of your Magnetic Modes in mind, you can use any home or location with which you are familiar. 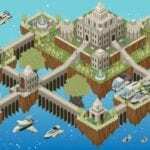 The effectiveness of the Memory Palace technique is based on the scientific fact that your brain and spatial memory perceive space as a kind of image. Memory is many things. It includes facts, figures and figments of information stored in various regions of your brain. But more than that, memory is the ability to communicate these kinds of information to others and recognize them when they are being communicated to you. When it comes to how you get information to play with in the first place, there are many ways. Some are faster than others. 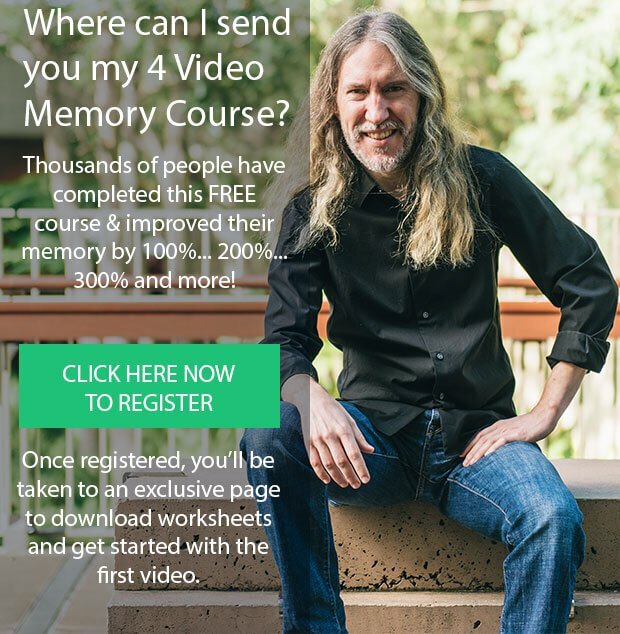 Using an effective, dedicated memory strategy system like Magnetic Memory Method you can easily retrieve those memories faster and with predictable and reliable permanence. Add to it a balanced diet, meditation, and sleep and you will be able to enhance your memory, concentration and focus in a way that improves your entire life. Doesn’t that make a pretty picture? It's easy to overcome Memory Palace "interference" (without having to kick out old memories). 22 Responses to " Aphantasia: Develop Your Memory Even If You Cannot See Mental Images "
Thanks for this info. I have signed up for your courses, but have had some hesitation knowing that I don’t see mental images well. I thought I was just weird when I can’t picture even the face of my wife or kids, or see a fleeting image at best. I hope to understand this better, and will try to get more time to put into the memory training. Although I can get a sense for what faces look like, I don’t actually “see” much, if anything, in my mind. But association has many Magnetic Modes, and the great thing about consistent practice is that it reveals them in great detail. Just S.I.P. at it (study, implement, practice). Interesting! I’m not highly visual myself… When I think of the beach it seems like the clearest part is the sound. Otherwise I’m mostly aware of what it would look like if I could imagine it, but I wouldn’t say I can actually see it. It is indeed interesting because that is pretty much the first thing that comes to mind for me as well. That said, I get “concept pictures,” such as hanging out with you on the beach and doing body weight exercises. And there is a strong sense of the cafe where we had several power sessions on our various projects, not to mention your visit to Berlin and mine to Madrid. But these are far more felt than seen, even if I could tell you in great detail many of the visual characteristics of these places (it seems to me that the cafe in Gran Canaria was excessively white, for example, with gaudy yellow and pink colors on its sign, not to mention that horrible dinosaur grocery store in blue and yellow). 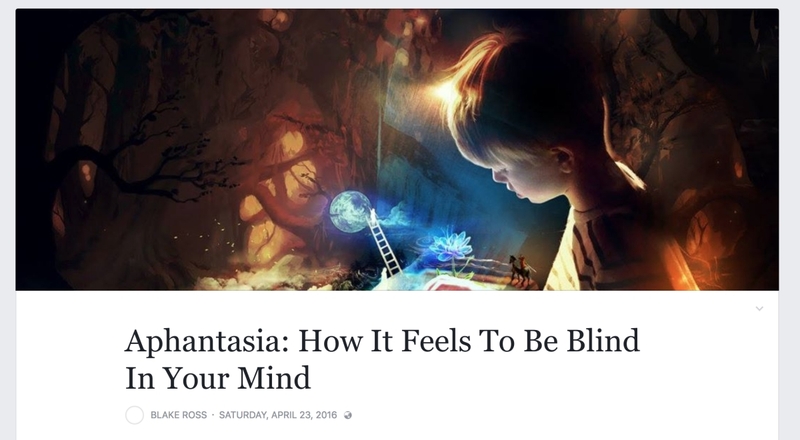 And the odd thing is that when I ask people who claim they have aphantasia (or have been “diagnosed” with it so they go around making it a problem for an industry to solve), they too can whip out all kinds of visual details even without seeing them. It all seems like one giant non-issue, kind of like many of the “problems” humans have with various aspects of consciousness and perception. Very interesting article, Anthony! Didn´t know about this condition. Coincidentally I’ve just listened to the autobiography from Tesla on Audible. It described how gifted he was with mental imagery and how the mechanisms appeared in his mind’s eye with great detail and perfection as if a computer would project a complex piece of equipment on air. With this power and his genius, he entered history as one of the most important men in the field of Science. In the book, he described how he trained during his childhood while reading and being influenced by his mother and brother. Very interesting story, indeed. 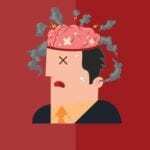 Are there specific exercises to improve mental visualization? I already use my senses, association, stories, exaggeration and funny things to remember stuff. I try to use as many resources as I can so the info stick. What would you recommend for me to try it out? Thanks for this comment, Aleno. Tesla certainly was fascinating. It’s very interesting to think about what he might have perceived in his mind and how that worked for him. There are many ways to increase visualization. Some are as simple as going to an art gallery. Others involve brain exercises. Follow up on those two links alone and you will unlock a world of visual power in your mind by putting the recommendations into play. Then just direct memory techniques at completing specific learning goals. The process will do the rest, always keeping in mind that the visual mode is just one of the 6+1 Magnetic Modes. Bring them all under your control and you will do very well indeed. I will check them out and go deeper into what you teach. I think this whole things is rather interesting. I can’t conjure up even the simplest of things in my mind, but for as long as I can remember, I’ve used to motion to compensate. If I’m really, really lucky, I might have seen something previously that’s relevant to what I’d like to visualize and if I count the windows in my place, I don’t visualize it, my eyes point towards each window. I know that on some level my mind is capable of visualizing some rather sophisticated things because I can draw perfectly fine. It’s just that I have no idea what the thing I’m drawing actually looks like until I’m done. I just know where to put my fingers and which directions to move them. But, the elements in the image are clearly designed as they make sense spatially, I just can’t make any use of the few images that do pop into my mind unless they completely match what I’m seeing. I do wonder if this is somehow related to my notoriously bad facial recognition skills. If I go from a mountain man beard to clean shaven, I definitely don’t recognize my own reflection and I can’t pick myself out of photos if I don’t recognize the clothes or the context. Thanks kindly for sharing your experiences, Tom. I think the drawing aspect of your post is especially fascinating. I have something similar myself (although I can’t say I draw perfectly fine). That said, studying drawing deliberately has helped me increase the sense of imagery in my imagination, as has visiting art galleries and thinking about the movies I watch in visual terms. There are a lot of ways to grow. Self-recognition in photos is interesting as well and possibly does relate. That is definitely an angle to think more about. One initial question that comes to mind is this: How often do you look at yourself in photos in general? I ask because I’ve become very used to looking at my own photo and video footage daily, not to mention my own voice on the podcast. This extended and extensive exposure has certainly carved deep grooves in my brain that change the nature of this perception. I had no self-esteem, no courage, no faith that I can do it, so I had to listen to motivational speeches and subliminal messages (I still do, daily). I read uncountable articles, and books. I followed several advice that people with experience like you give to people like me. Everybody speaks about meditation and visualization. Some (many) affirm that nothing can be done without both or one. As I am very determined to reach my goal, I tried (and try) various techniques. None worked/works. I cannot stop my mind, I cannot see a thing, a shape, a shadow. Nothing except blackness. I thought and believed it’s just a matter of practice. I tried more, again, and again and again and again. I became extremely frustrated, but I still thought it was just lack of practice and something quite common among people. Maybe I didn’t try hard enough. I cannot draw, I cannot recall a scent, a sound, a feeling, a memory… nothing. Weirdly enough I write about past experiences (I published quite a few memoirs) but only as facts and if it’s something tragic, I feel the pain as I know I felt when the traumatic event happened. I know I felt that because I am very empathetic and sensitive, but I cannot go back in that moment. Aphantasia is such a beautiful name, but an unfortunate characteristic of a writer. I will follow your advice and hope to get somewhere. I will also publish it on my blog with a link to this article. It will help people like me. Thanks for this, Christina, and for sharing the post. There are so many questions to ask, but the one that would be most useful for the most amount of people is if you’d like to be interviewed on the Magnetic Memory Method Podcast about Aphantasia? I’m particularly interested in what you’ve said about not being able to see yourself in the future – this almost sounds like it could be very beneficial in some ways. In any case, I’m devoted to learning more about aphantasia and would be grateful to speak with someone about it for the community – especially an author of your talents. I’m 61 years old and have felt like I have wondered thru life, semi-successfully. I too experience the continual grasping for something-and coming up short. I’m not giving up. After studying the brain for 3 years—- I’ve learned it likes and understands thru pictures in the mind. Well if that can’t happen…. Where does that leave us? I’ve read that people like us live more in the present and in a way that is good….. But pushing forward is hard….I feel it everyday now that I think about it. Thanks for supporting Cristina’s post, Carol. I realized two years ago that I couldn’t picture anything in my mind’s eye. As I started to research Aphantasia, I realized that people are capable with more than just images, but also touch, smell, sound, & taste. Wridly enough I have none of these abilities. I somehow this with an inner voice, but I don’t actually hear this voice. It just happens silently in my head. There are perks I believe. I have had some pretty traumatic events happen in my life, but they do not really effect me too much after the fact. I don’t think it is possible for me to get PTSD since I cannot relive those terrible moments. I am also a very talented software engineer and have always been amazing at math, probably because of my ability to think very linearly and logically. I find the cons are mostly around social interactions and relationships. When I something jogs my memory about a conversation I’ve had with someone, it’s hard for me to link it back to a specific person since I do not have the person’s voice or face connected to the memory. I also find it can be hard to have close relationships, because I remember vague outlines of conversations, and sometimes specific facts but fail at remembering many details. Sometimes I feel much more lonely than I actually am because I do not remember or think back to many of the amazing memories I have with others. Even though I lack all of these skills in my brain, I find myself to be very emotionally driven and very empathetic. I feel emotions very deeply, so maybe this counteracts my brain’s inability to create the other sense. Thanks for sharing your experiences in such incredible prose, Amanda. I find it difficult to imagine you being anything but perfect as you are when you can write so well. And that is ultimately my gripe with the Aphantasia movement: People hypnotizing themselves into letter a word make something wrong with them. The fact that any person can use their situation to assess the self is so positive and such a reflection of higher character, that everyone would do well to reflect in this manner frequently, if not daily. Your description almost exactly matches my perception. I also have to meet someone several times to remember who they are when I see them. My biggest issue at the moment is that I would like to get into meditation and I am unable to visualize anything. Not being able to visualize should be an advantage to you if you want to meditate, Ian. It’s being interrupted by mental imagery that frustrates to many people in this area. What kind of meditation training have you been getting into that requires you to visualize? That is just one kind, but there are many other options. Let us know and we can possibly provide you some better paths. About 5 years ago (aged 44) I was very ill with a virus after which my memory and “mind’s eye” was affected. I have a very poor short term memory and even older memories have been affected. Mostly I see very vague images as if it’s in the “corner of my eye”, never central and the more I try to focus the more it disappears. I cannot visualise people, not even family. Sometimes I just see blackness. Prior to this, both were fantastic and I could rewind life like a video tape. This loss was an awful blow to me as I’d lived my life with these abilities. My whole life was affected. So began a life of trying to relearn coping skills. I am still struggling which is why I have been searching for answers and lead to me finding your post. I have now been diagnosed with ME/CFS. I wish I knew what happened to cause this loss, perhaps it might help me deal with it. I have tried to meditate and even self hypnosis but my mind feels blocked in some way – hard to describe. I hope that your memory training will help. Thanks for sharing. Thanks kindly for sharing your experience, Miranda. Knowing the “why” certainly can create relief and also a path to potentially exploring solutions. By the same token, it’s also a good skill related to meditation and mindfulness to learn acceptance of how things emerge in life. When it comes to meditation, what have you tried? I’ve learned a lot about why some people don’t respond to certain kinds of meditation and might be able to suggest a few alternative practices that still count as meditation, but are less known. I’ve found them to be very effective for me personally – especially because they exercise memory too. Thanks for sharing your daughter’s experience, Doreen. I read along with a lot of books while doing my doctorate. When I couldn’t find an audiobook, I would read them aloud myself. It was just too difficult to concentrate or connect without some kind of audio component. Your daughter is a good age for starting to explore memory techniques. I have two interviews with parents of daughters age 10 that you might like to go through for some ideas. I also released some sensory memory exercises here on the blog as well. I’ll update this page to link over to them. My only major suggestion beyond these things would be to see if you can let her follow her own interests as much as possible and learn more about how she experiences things cognitively. 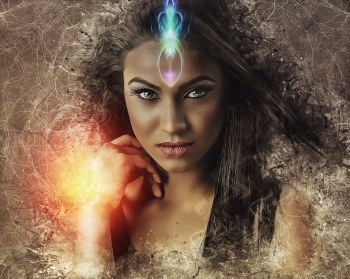 If you can perceive and learn the “lingo” of her own experience, you may find portals of entry and exploration that would not otherwise reveal themselves. Not only that, but you might find that she has incredible strengths that exceed “creative writing” and lead to great fulfillment. I’ve always been quite literal myself and see this as an asset, not a deficit. Thanks again for the post and look forward to an update if you would like to share one.